to help you fight against the insurance companies. Injured? Not Sure What’s Next? You have been injured in an accident. It was not your fault. It may have been the sleepy driver of a tractor-trailer. It may have been a driver who thought it was more important to send a text message than to keep his/her eyes on the road. It may have been a driver who was under the influence of drugs and/or alcohol, and had no business being behind the wheel in the first place. It could be a shopping center that allowed a dangerous condition to remain on its property, even though it had actual knowledge that the condition had caused other people to hurt themselves. Finally, it could be because a hotel or apartment failed to take adequate measures to protect visitors and tenants. Regardless, the injury is real, and so are the medical bills and lost wages. Your life has been changed, and you simply cannot believe what the insurance company is saying. The adjuster tells you that you are partially or completely at fault. The adjuster tells you that your prior injuries mean that the case has no value. The adjuster wants a recorded statement. The adjuster wants your medical history for the past ten years. You know you have been wronged, but you do not know where to turn. My areas of practice include all major fields of personal injury litigation, including tractor-trailer collisions, commercial vehicle collisions, automobile collisions, collisions involving drunk/drugged driving, premises liability and wrongful death. I am admitted to practice in all State and Federal Courts in Georgia, and I was elected as a Rising Star by Super Lawyers in 2012 and 2013. No more than 2.5% of lawyers 40 and under are included on this list. 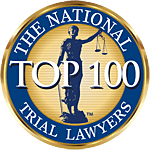 I was named a Super Lawyer in 2015, and was selected as a Top 100 Super Lawyer in 2016. I have a “superb” rating on AVVO, and I am a member of the Georgia Trial Lawyers Association, the American Association for Justice, the Association of Plaintiff’s Interstate Trucking Lawyers of America, and the American Bar Association. I was born and raised in Atlanta, Georgia. I am a graduate of The Westminster Schools, Hampden-Sydney College, and University of Georgia School of Law. My thirteen years of experience representing insurance companies and their insureds has given me intimate knowledge of the insurance industry mindset, thereby allowing me to maximize recovery for my clients in the personal injury arena. If you have been injured in an accident involving a commercial vehicle, it is important that you contact an attorney who has successfully handled cases involving commercial vehicles in the past. When you enter the land or property of another, or when you are at a shopping center or other commercial establishment, you would like to believe that the area around you is free from hazards. If you have been injured in wreck involving another automobile, it is important that you contact an attorney who has successfully handled such cases in the past. If you have been injured in an accident involving another automobile, it is important that you contact an attorney who has successfully handled such cases in the past. It is the day you never want to have happen. You get a call, or a police officer shows up at your door. A loved one was killed because someone else did something wrong. By filling out this contact form, you are taking the first step to getting your life back on track after a serious accident. You will receive a free consulatation, where we will discuss the facts of your case and develop a strategy for pursuing action. My intimate familiarity with the insurance industry mindset, knowledge of the numerous guidelines regulating the trucking industry, and history of results allows me to maximize the recovery for my personal injury clients. Fill out the form below to get started. My insight into both sides of your case is absolutely vital to the success of your claim. I know the value of a case, and will fight to maximize your recovery.